Justin Bieber Using Hailee Steinfeld To Make Selena Gomez Jealous? The 23-year-old Baby singer and the 20-year-old actress have reportedly been dating just over a month. A source told the website their relationship is ‘still fresh’. While the pair may not seem like they have a lot in common, they do share the same faith. And, according to TMZ, it was their pastor Carl Lentz who introduced the two stars as each both attend his church, Hillsong. Does Justin Bieber, 23, have a new love interest in his life? 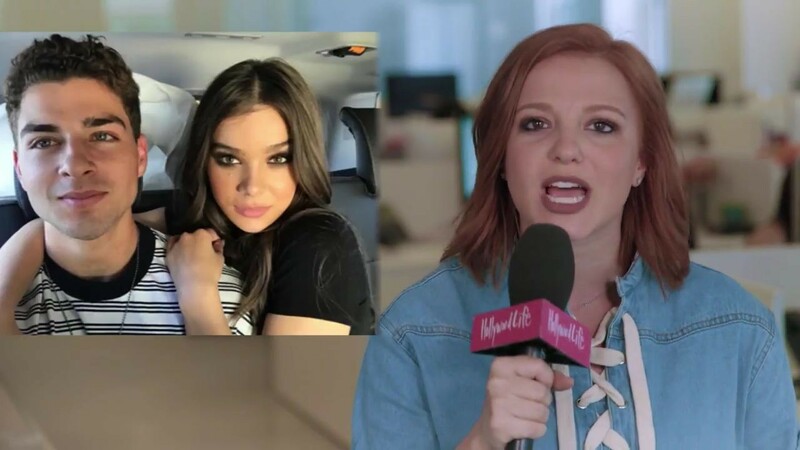 The singer allegedly met up with Pitch Perfect star, Hailee Steinfeld, 20, after she left the MET Gala on Monday, May 1, and now TMZ is reporting they are an item. However, a source close to the situation tells HollywoodLife.com EXCLUSIVELY that there is nothing romantic happening between Justin and Hailee. Hailee “has shown no interest in a romantic relationship with him,” the source tells HollywoodLife.com. “Hailee is committed to her longtime boyfriend, Cameron Smoller.” Phew! While we’re bummed to hear that Justin isn’t in a new romance, we’re happy to hear that Hailee and Cameron are still going strong. They could not be a cuter couple! As for Hailee and Justin, it seems the two are just friends, and a fan photo does appear to show them hanging out after she left the MET. Though it’s cool to see them hanging out, you can clearly see there is no affection between the two and they are just chatting one-on-one. Maybe they’re working on music together? Hmm!